XBOX One X vs PS4 Pro: Which one should you buy? 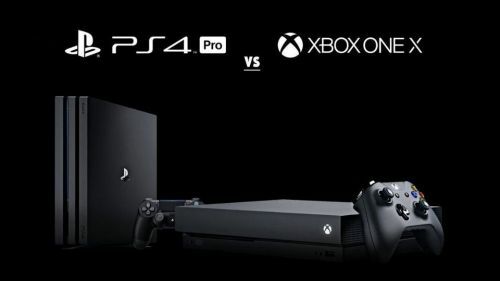 The XBox One X and the PS4 Pro are two of the most powerful home consoles ever released and are both are fantastic systems in their own right. But the question is, which one if for you? Let's start a look at the tech specs before going on to look at the exclusives. The difference in power in the CPU isn't really big between these two systems. Both run AMD Jaguars. The GPU is where one of the big differences are. The XBox One X uses an AMD Radeon capable of 6 TFLOP's while the PS4 Pro's is only 4.2 TFLOP's. This gives the XBox One X the edge when it comes to raw power. While the XBox One X supports true 4K gaming, the PS4 Pro uses checkerboarding to an upscale resolution to achieve something akin to 4K and not true 4K itself. This one is a big pro for the XBox over the PlayStation. There is still no backwards compatibility for last gen Playstation game. XBox, on the other hand, has made massive strides in this area in the last couple of years. Sadly, there is no VR Support on the XBox yet. For the PS4, there's PlayStation VR which has received a slew of new titles over the last year and more coming soon. PS4 vs PS4 Pro: What's The Difference And Which One Should You Buy? PS4 vs Xbox One: 8 Point Comparison To Determine Which Console Is Better For You? PS4 vs PS4 Slim: Why You Should Buy PS4 Original? Xbox One vs Xbox One S: Which one is right for you? Xbox One X vs Xbox One S: What's The Difference and What's Right For You? PS4 vs Xbox One: How Do The Highest Grossing Games Compare For Each Console? Is Buying A PS4/PS4 Pro In 2019 A Good Choice?